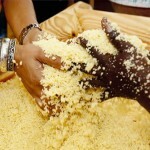 From 25-30 September 2012 in San Vito Lo Capo in the province of Trapani, the 15th Couscous Fest will take place. 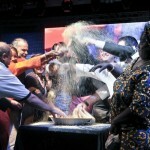 This is an international festival for cultural integration. 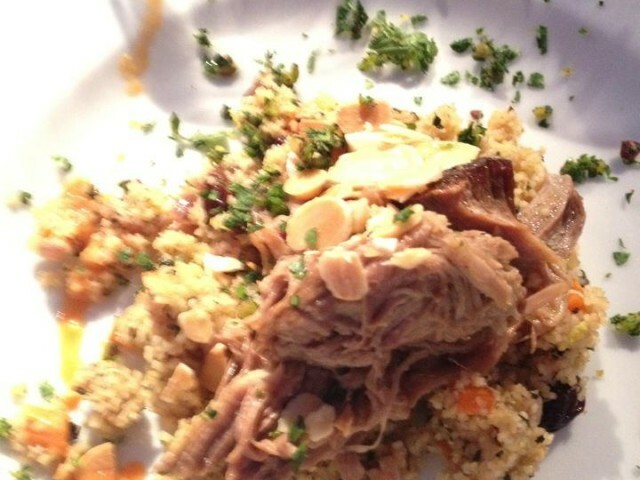 It is a means of comparison among the countries in the Euro-Mediterranean area using one key ingredient: couscous, the dish that symbolizes peace and that is common to many cultures. This traditional semolina-based dish, steam-cooked and served with a savory broth with seasonal vegetables, herbs and spices, meat or fish, has always been a dish that symbolizes North African culture. 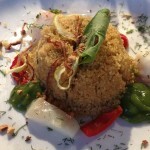 But couscous, known around the world, is the marriage of the global and the local and wherever it is eaten, around the world and in Italy, it has taken on the features of the land where it is served, becoming closely connected to its traditions, religions and people. 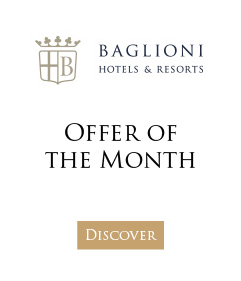 Uniting the beauty of the Sicilian town, its warm climate, crystal waters and lovely beaches with one of the nicest and most colorful Italian cooking-related events and tradition could be a wonderful way to experience a true holiday in Italy. 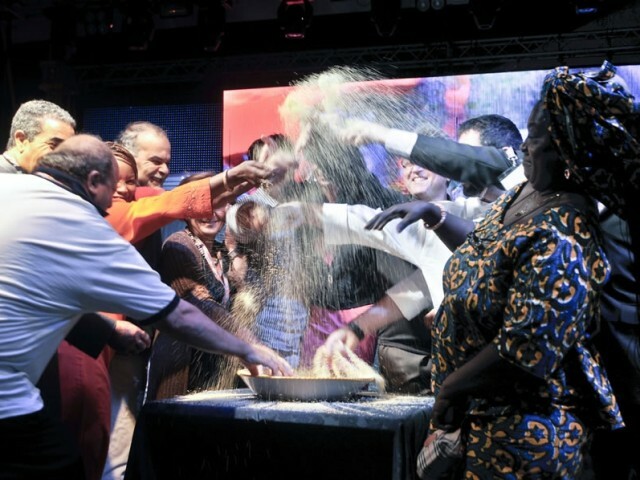 The culinary competition between the chefs from the nine host countries is the center of the event but there will be special moments dedicated to couscous around the world, cultural meetings, talk shows and seminars that will make everything especially interesting. But it won’t only be “food.” There will be shows by important artists and concerts, highlighting the multicultural aspect of the event, every evening. Paolo Marchi, a culinary journalist and the creator of “Identità Golose,” the first Italian conference for culinary authors, will be the head of a technical jury that will evaluate the couscous offered by the chefs participating in the international culinary competition. In the kitchens of San Vito Lo Capo, various languages, culture and religions will meet, making this long anticipated event truly special. 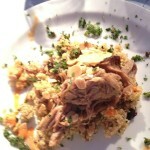 The chefs will come from the Ivory Coast, Egypt, France, Israel, Italy, Morocco, Palestine, Senegal and Tunisia. There will be two local chefs on the Italian team, Piera Spagnolo and Katia Abrignani along with Fabrizio Ferrari, the owner and chef at the “Al Porticciolo 84” restaurant in Lecco with one Michelin star, the winner of the Couscous Fest Preview. ?The “challengers” will be eliminated directly. In addition to receiving scores from a technical jury, the dishes will be judged by attendees as well. A popular jury, formed by 80 attendees, will vote on their favorite dish. You can also taste the most decadent recipes, traditional flavors and inventive recipes made from semolina at the culinary village open from noon to midnight where you’ll find more than 30 different recipes from the “House of Couscous,” traditional Arabian-style tasting areas. Wonderful Sicilian desserts are also available, paired with the best wines. 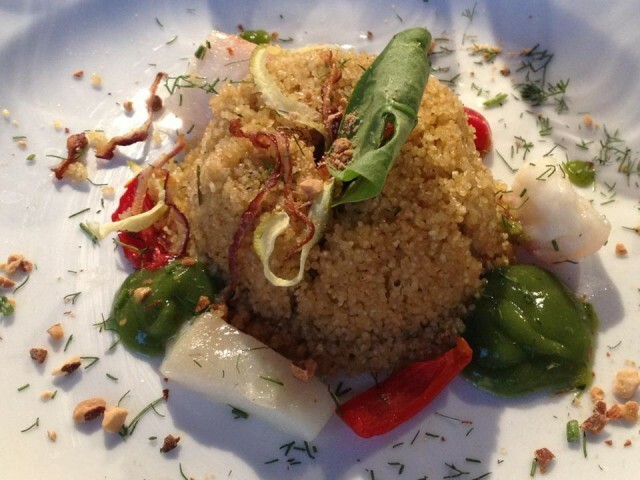 Something new this year is the “taste village” in piazza Marinella, Couscous Square, an entire square to sample different types of couscous: fish, meat and vegetables prepared according to local tradition as well as many Mediterranean versions: sword fish, eggplant and mint and squid. Try as many as you like in the comfortable area with more than 400 seats. This is a large area dedicated to the tradition of Trapani and foreign countries. From 17-24, in the Expo Village area, you can visit a colorful market, a true souk, to discover artisan and typical products from the countries competing and Sicily in particular. If you still have time, you can also visit two wonderful wine cellars, like Fazio Wine in Erice and Firriato in Paceco. Gnà Sara for traditional dishes in a rustic environment. Infoline: Tourist information Office of San Vito lo Capo, tel. 0923 974300.